As it turned out, this was the same day that I registered for the OPC GA. I don’t want to gloat, but the OPC has a fairly good representation from its elders and that has to do partly with all costs being reimbursed. You ask, how does the OPC do it? Well, we meet on college campuses and have commissioners share rooms and bathrooms. This year at Wheaton I will share a bedroom with one other commissioner and a bathroom with three others (my sphincter is already tightening). I’d much prefer to have a hotel room to myself and even meet in the comfortable surroundings of a convention center. But dorm rooms and gymnasiums go with the OPC’s no-nonsense approach to affect. In which case, one way to even out the proportion of pastors and elders (OPC lingo) is to meet in settings that weed out the under motivated. Previous What If I Want Jordan Peterson instead of Wendell Berry? I note in passing that “Camping” is a legitimate lodging option for the OPC General Assembly. Also, I’m pretty sure this is the first time I’ve commented on your blog. What happens between the now of justification and the not yet of justification to those who are not motivated enough by the not yet? This OPC report is for delegate discussion if kept in house between those wh agree that the discussion about Norman Shepherd is finished and no longer useful. “Kline’s formulation cannot easily account for those passages of Scripture that point to a gracious substance in the Sinai covenant itself. The preface to the Decalogue reveals that the ethical dynamic of the Sinai covenant is fundamentally gracious. It is founded not first and foremost on what Israel will do for God, but what God has already done for Israel. God also promises “mercy” in offering blessing to those who keep his commandments. This “mercy” is thoroughly redemptive in character, and brings into view Israel’s inherent unworthiness of any promise of reward. 1. Based on the first paragraph alone I would have been willing to bet the ranch the author is from Appalachia or the Carolinas. Annnnnndddddd…..bingo, Roanoke, VA. That region of the country really lives in a bubble. 2. I think it’s great the author is pushing for more REs to attend. I’m not an RE or TE, but I watch the GA on livestream, and the lack of RE representation is disappointing. REs should view it as their duty to attend (and so should TEs, for that matter). If you don’t want to attend the GA, don’t become an elder. 3. The author’s push for more REs may not have the outcome he prefers. If each church had their max representation, the large, urban churches of the PCA (the Redeemer churches, Pacific Crossroads, Christ Presbyterian, etc) would have far greater representation than they do now, which I suspect would produce voting results not to his liking. Careful what you wish for. 4. It’s easy for the OPC to have better representation than the PCA because it is 20% of the size and only allows a single RE per church. Oh, come on, Victis, it’s not size; it’s having a delegated Assembly & paying costs. You can, of course, go further, like the EPC. One other factor significantly impacts their GA’s RE/TE ratio difference between PCA and OPC. The PCA allows any and all to attend. The OPC presbyteries choose delegates for a representative assembly. Imnsho the latter practice has several salutary results. The PCA describes itself as having a “grass roots” origination. It proclaims its “everyone may come” delegate practice as both promoting and preserving that character. But ironically the practice accomplishes exactly the opposite, and that for at least four reasons that could/should have been expected, have been seen over the years, and are presently observable. First, the open invitation means finite resources spread over more delegates. As this limitation works out, especially when supplemented by the reality that nearly all REs, in contrast to nearly all TEs, have to use vacation time/pay to attend GA, fewer REs than TEs attend. That works against grass roots representation. Second, at some number present the assembly’s abilities to act as a deliberative body changes. One may observe this by comparing and contrasting not only the rules for debate in the U.S. House and Senate, but the actual debates. The larger body significantly limits debate. No wonder the OPC GA has a deserved reputation for being a more deliberative body than the PCA GA. That squelching of deliberation works against the grass roots representatives having opportunity for interaction…and makes REs less zealous about atendance. Third, the larger the assembly, especially given that it has time constraints, the greater the pressure to plan and prepare to use that time well. Unfortunately, that pressure to plan often involves more than merely making certain one is to the extent exigent and possible informed before attending. It also involves politicking beforehand because there will not be time for persuasive debate during the course of the assembly. Fourth, the larger the assembly, the more likely that delegates will defer to standing committees. This tends to make REs (and TEs, too) more inclined to think their presence is not so important, that they need not attend. That bubble is bordered by the Bos-Wash to the northeast, Broward Cty, FL to the southeast, and I-5 to the west, Canada and Mexico round out the northern and southern edges of that bubble respectively. Christopher Drew, sorry, no Machen horn for your presence. sdb – the “bubble” comment was a nod to letmesplainsean, who always likes to say that Redeemer folks and Manhattan people live in a bubble. But there is an element of truth to it: I really predicted Charlie Nave was from western Virginia or the Carolinas based on the first quoted paragraph, and the reference to a “secretive caucus” that “controlled the assembly entirely” was the dead giveaway. It’s as if there is a Deep State PCA out there implementing some sort of “liberal” agenda in the minds of many PCA members in that region of the country. If you look at the vocal minority viewpoints over the past few years within the PCA, they almost always arise from presbyteries – especially Westminster – in the Appalachian region of Virginia and the Carolinas. And when their motions and overtures fail – as they usually do, often by substantial margins – they like to kvetch about some nefarious plot to undermine “true” Presbyterian doctrine rather than admit their views are out of the mainstream of the PCA. It’s happened too often from the same general geographic area to be a coincidence. Roy Kerns – I agree with pretty much all of what you say. My response is there shouldn’t be a need to incentivize any TE or RE to attend the GA. In my view it is an obligation of being an elder, and that means elders should be willing to commit to attending the GA and plan their time and budget accordingly. They should plan for long hours of tedious debate in order to ensure adequate deliberation, which I agree is lacking on most issues in the PCA. If a man doesn’t want to commit to these things then he should defer the position of elder to someone who is willing to fully commit. Dan Reuter – maybe to a degree. But it is easier to have “good” RE attendance when only one per church is allowed. Are comments closed on the “Lent is Methodist” post? Maybe just user error on my part? Is it just me, or are there others out there in Reformation land who feel that Westminster Seminary California is moving away from emphasizing the Gospel and Justification and being drawn into trying to ‘balance’ the Gospel with Sanctification discussions among other topics? Tying this into the blog here on the PCA & GA, I must admit that I was disappointed though not surprised to see that Joel Kim will address the all-powerful Gospel Reformation Network this year at GA – the GRN aka the ‘Obedience Boys’ as noted before in previous discussions. By the way, Briarwood didn’t get their own Police Department, unless the announcement got past me. Is WestminsterCal changing ‘by creep’ toward ‘a MORE balanced view’ of Justification-Sanctification? I would hate it if Westminster forsook the sound and healthy positions it has held on the Gospel, Justification, honoring Luther just like Calvin – and need I say – Machen! 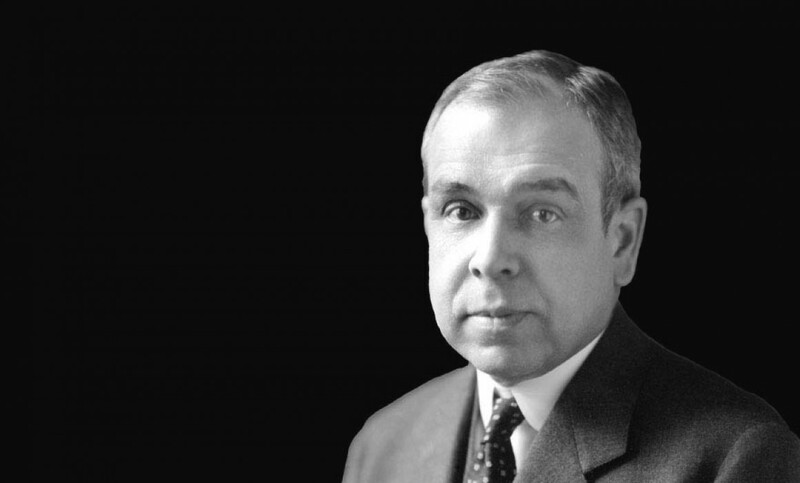 Semper Reformanda, Machen spoke at the World Christian Fundamentals Association. Did that mean he affirmed dispensationalism? No. Why do guilt by association? You’re the best Dr. Hart – your answer was why I asked. At the same time, I cannot be convinced otherwise than that the Gospel Reformation Network exists to undermine the doctrine of Justification by Faith……….by emphasizing, actually overemphasizing Sanctification. I did hope that Kim would speak in support of WSCAL’s ‘Faculty Statement on Justification’. The GRN is one of the worst things to happen to the PCA in recent years, in my view; many fine people have gotten caught up in it, unfortunately, because of what appears to be the ‘politics of the PCA’.